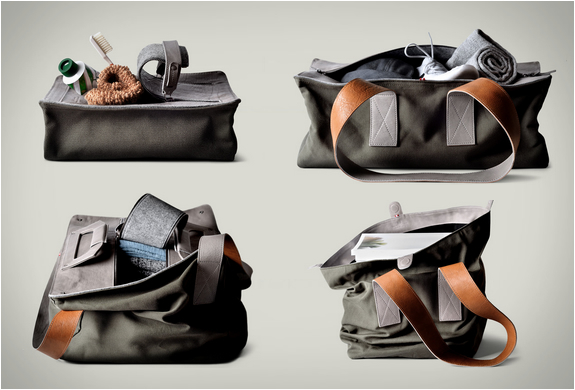 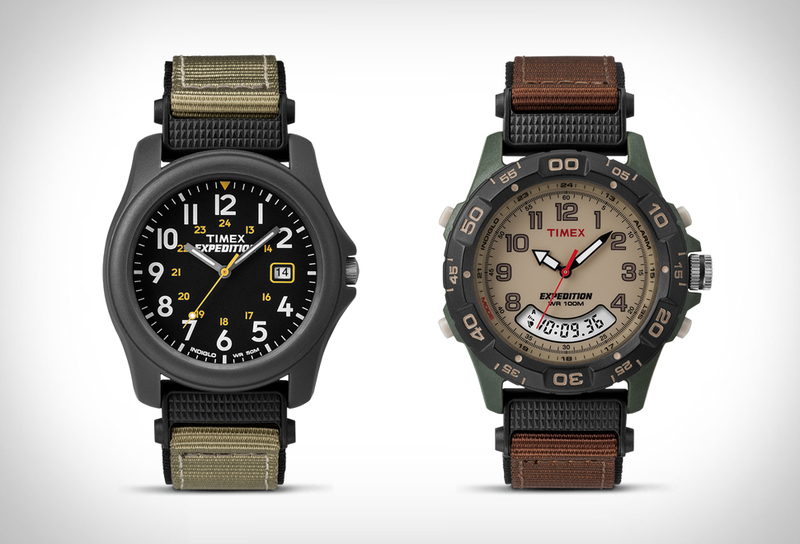 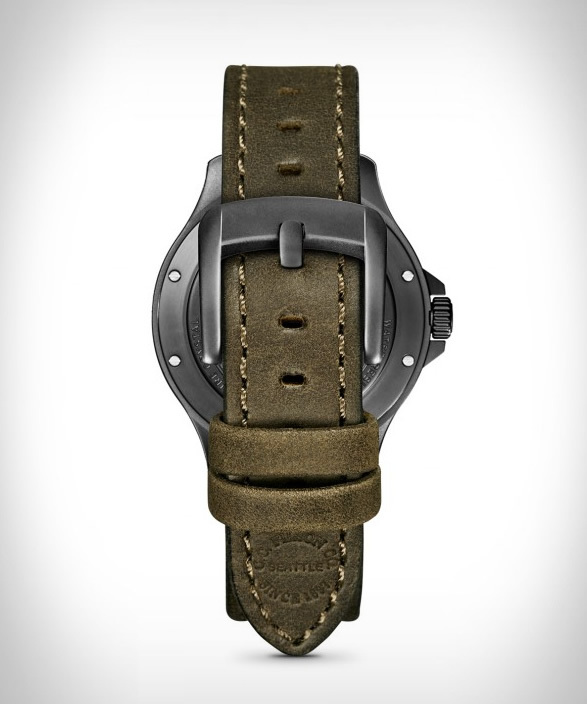 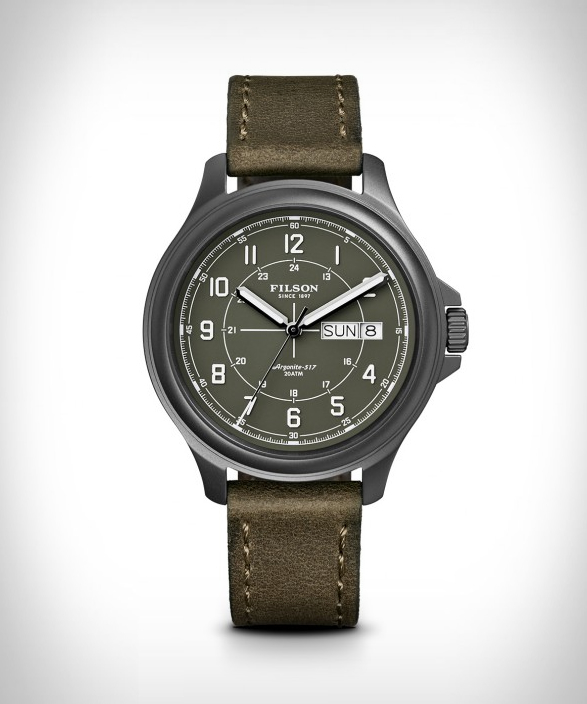 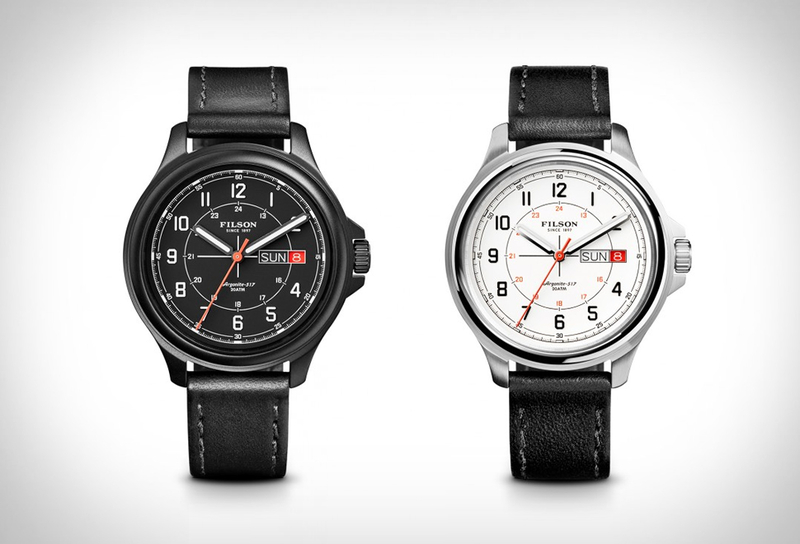 Filson have released a new compact sportsman’s watch, the Skagit Field Watch. 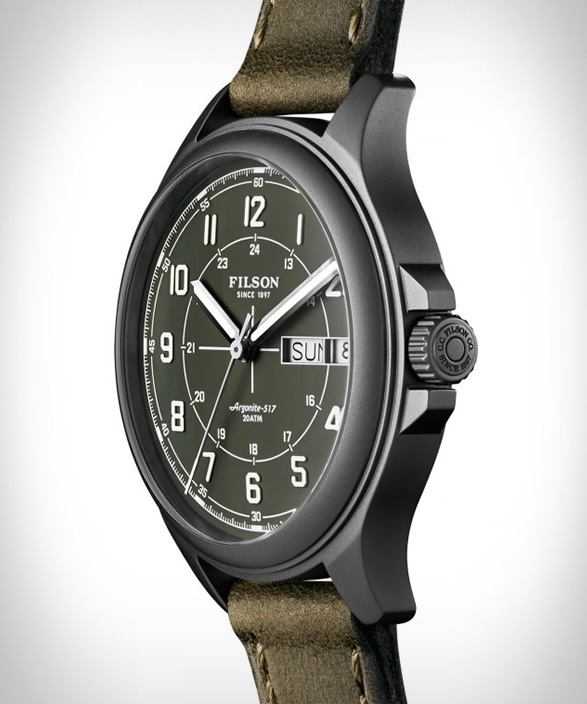 The classic watch is made with the same construction and materials as their classic Mackinaw Field Watch, but in a slimmer profile for the sportsman who requires a more compact style. 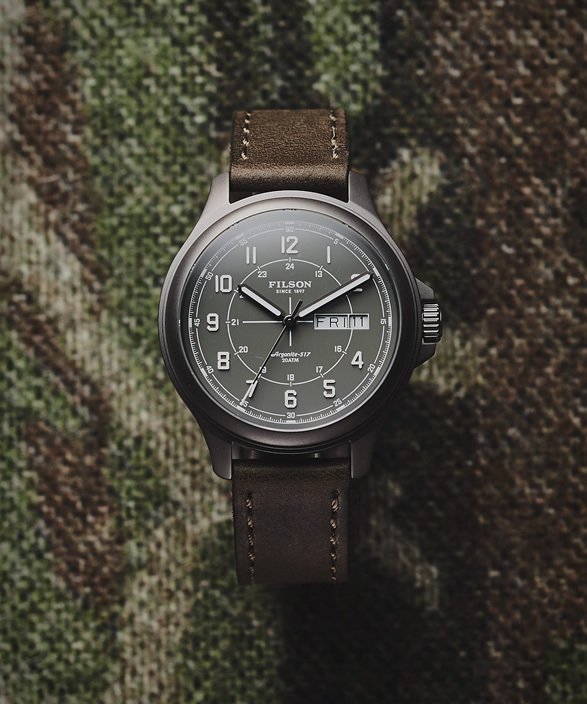 Made in Detroit, USA, and available in four color combinations, the Skagit uses Shinola’s Argonite 517 quartz movement and features an anti-reflective sapphire crystal, a screw-down crown and 40mm stainless steel case.